“Gerhard’s Mutterschaft.” Widener Library. Harvard University. Widener Harvard Depository KF 4425. 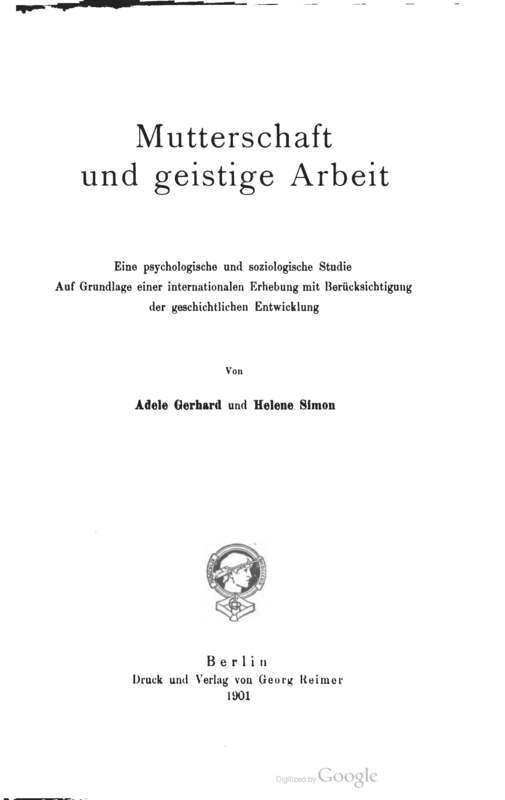 Selecting entry 27 at random, I ran a few preliminary searches and was able to identify it as Adele Gerhard’s Mutterschaft und geistige Arbeit. Eine psychologische und sociologische Studie auf Grundlage einer internationalen Erhebung mit Berücksichtigung der geschichtlichen Entwicklung. The problem, however, is that Royce’s bindery list does not include dates or specifics about the imprint. Thus I needed to inspect all three volumes within the Harvard University library system. 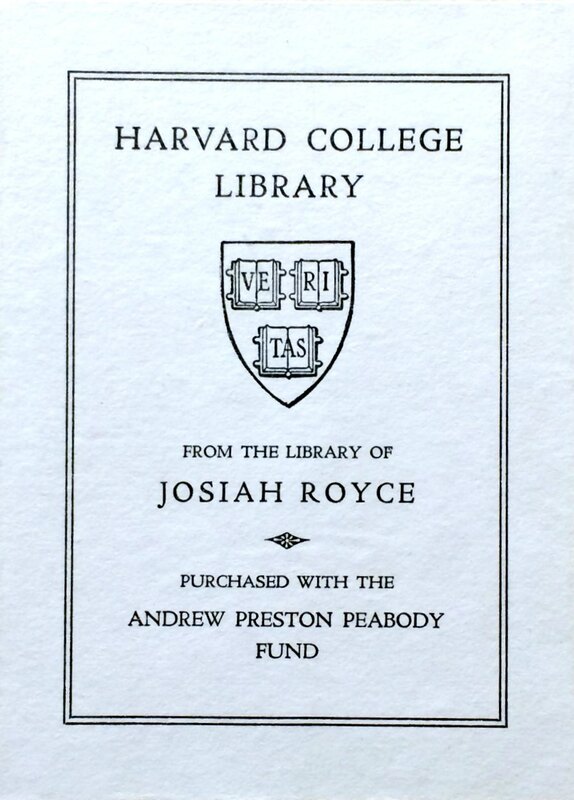 It turns out that Royce owned the 1901 imprint. Like the Schelling collection, these volumes are not cataloged in HOLLIS according to their provenance and thus requires similar strategies to locate, identify, and catalog. First I will transcribe the list and research each entry in HOLLIS. Once I correlate this information with volumes housed in Widener Library and other Harvard affiliated libraries, I will inspect each volume for two sets of identifying markers: library markings (e.g. affiliate bookplate, ink donation date stamp, and/or additional library markings) and Royce-oriented identifiers (e.g. his autograph, inscriptions dedicated to him, and markings/marginalia in his distinctive style).
. Harvard University Archives, HUG 1755, box 101, folder 14.